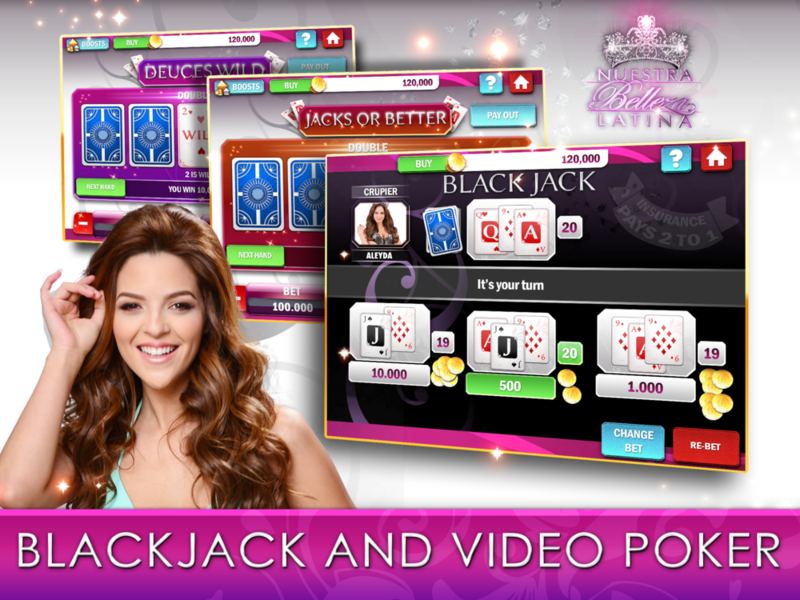 Play Nuestra Belleza Latina Casino, the only FREE casino game based on Univision’s popular show Nuestra Belleza Latina. Experience HUUUGE PAYOUTS with FREE SPINS and MEGA WILDS in casino slot machines featuring current NBL finalists and former NBL winners! fortunes bonus game and stacked symbols with photo sessions from NBL finalists. Play Blackjack with up to 3 hands simultaneously and NBL finalists as dealers.